Following on from my amazing swap post yesterday I just had to post these pictures for you to see. 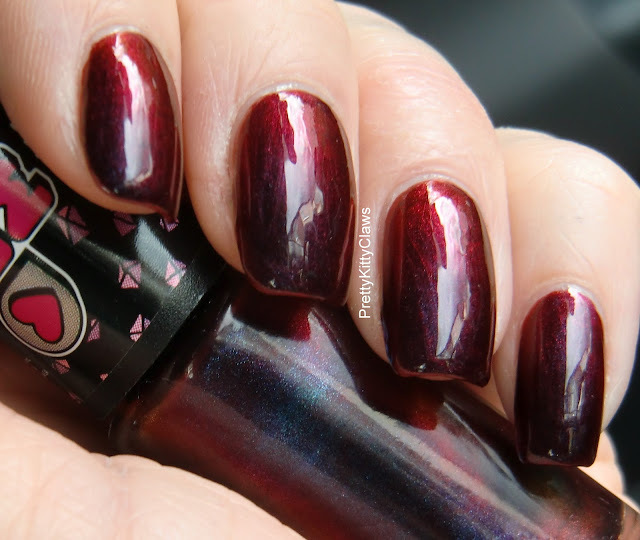 I wore this polish a few weeks ago before I moved house, and then promptly badly broke my middle nail while moving something out from under the bed :-( Anyway, it's growing back now and I had already taken these pictures thankfully. So on to the polish. 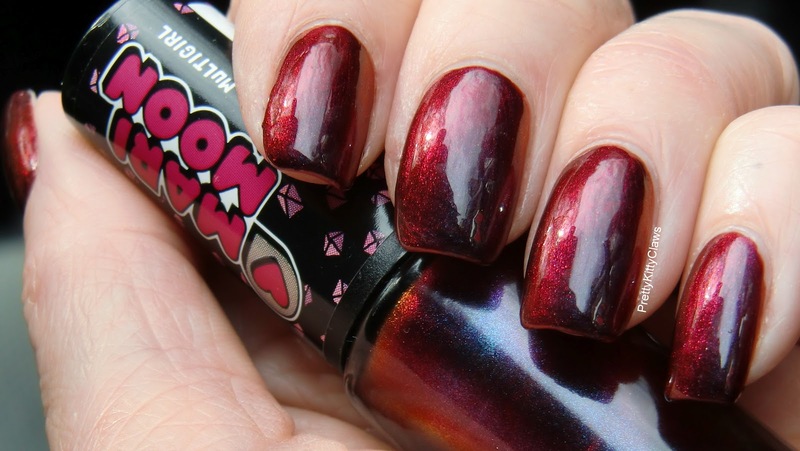 The HITS Mari Moon polishes are absolutely stunning multi-chrome polishes. Unconventional seems to shift from a plum purple to a glittery berry red. I absolutely adored wearing this one and will definitely be wearing it again. 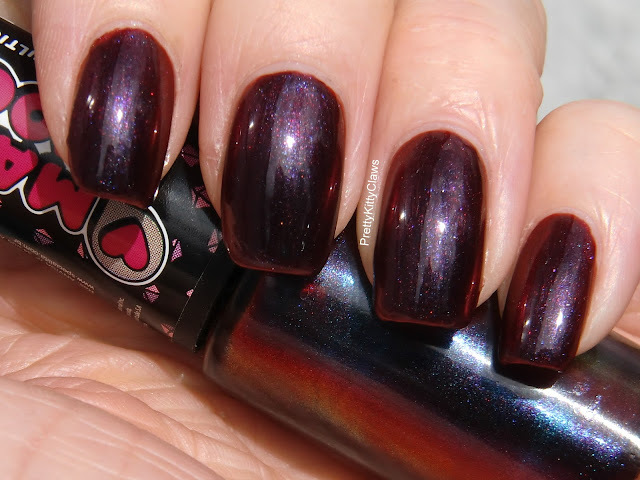 This is what I would describe as one classy polish! 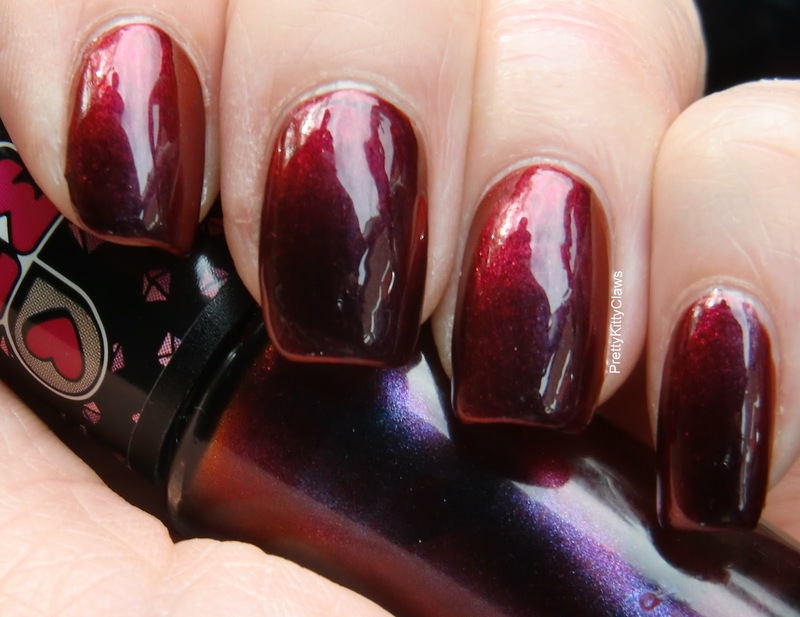 Can you even believe this is the same polish?? The only drawback is that the bottles are TINY at only 6ml each. I think I'm going to need a back up...... of all of them!! If you don't have an amazing Brazilian swap buddy you can pick these up from LLarowe and from Ninja Polish. I bet this looks gorgeous on you! Thanks Debbie, yes you definitely do need to use this, I really enjoyed wearing it!